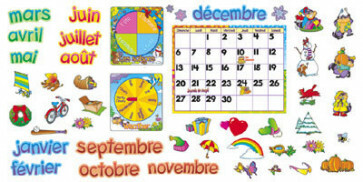 Support your French language classes with this versatile calendar kit to display important dates, deadlines and events, and to announce birthdays. This great teaching tool will make a colourful display on your classroom wall. View other French products here.